Becker's 23rd Annual Meeting: The Business and Operations of ASCs brought ambulatory surgical center (ASC) leaders together with companies that develop services and solutions for the industry. 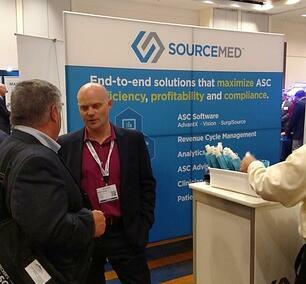 SourceMed leaders shared their takeaways in a previous post. Today, a few of our partners share what they heard at this year's event. To us, the tone was all about working better together for the benefit of ASCs and patients alike. Simple Admit will continue to look for opportunities to fill holes in processes where ASCs struggle with inefficiencies and cost containment. We will also focus our efforts toward helping centers enhance communication with patients throughout the entire care continuum. Most importantly, we will continue to listen carefully to ASC needs and respond with flexible, creative solutions. One theme that stood out was the future of bundled payments for Medicare—specifically, how the right clearinghouse partner can strengthen and accelerate those reimbursements. The importance of claims processing, custom edits and the ability to identify claims denials trends rang out loud and clear. This isn't surprising, given that changes in payment models require more focused attention on the front-end of the billing process. 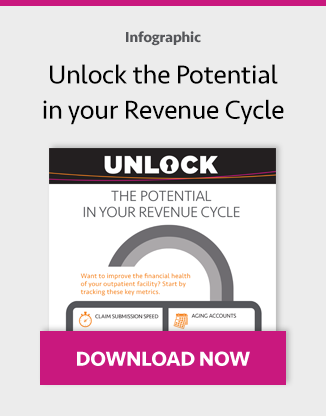 The ability to automate revenue cycle processes is key to decreasing denials and saving time and money. Now, more than ever, organizations must be strategic about their revenue cycle—reimbursement models will only become more intricate and complex. Patient financial responsibility was also a hot topic, especially in light of potential ACA changes and rising deductibles nationwide. Some of the best sessions centered around managing increasing patient deductibles and how to accurately estimate and obtain payments for procedures up front. 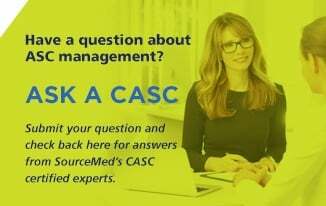 One tip for obtaining accurate patient estimates is to review your payer contracts and become a subject matter expert on how much reimbursement to expect for procedures, especially your most common ones. The bottom line takeaway is that healthcare is a two-way street—to succeed financially, we must educate and communicate with patients to help them understand the prices of procedures and payment options they have. ZirMed and SourceMed will continue to work together to develop the best solutions to handle increased patient deductibles, making it easy for patients to pay their bill and enabling staff to have effective, productive conversations with patients about their financial obligation. We heard a lot about decreasing reimbursements and increasing supply costs alongside the importance of diversifying case mixes and an increase in joint ventures, all of which underlines our key takeaway from the conference: that we, the ASC solution provider community, must constantly listen to customers and evolve our offerings in order to remain valuable partners to ASCs. As medical procedures continue to advance and providers are looking for ways to reduce cost and increase reimbursements, we'll need to stay current with technology to help them reach their goals. As providers expand their case mix, we must also expand our platforms to meet those changing needs. And finally, we'll need to stay close to our customers to understand their ongoing reimbursement challenges and help them bridge the gap with smart tools like supply cost and usage reports. If you attended the meeting, what did you come away with?